Sympathetic Vibratory Physics (SVP) (sometimes called Quantum Entanglement) [see Sympathetic Vibratory Physics vs Quantum Entanglement] is the science of Life, Mind and Happiness founded in the non-observable Causative Scalar Forces in the universe. This science, discovered and developed by John Worrell Keely, explains the inner dynamics (principles and laws) of energy, frequency, vibration, form and force as also the powers of Mind over and in Matter. With this wisdom humanity will be master of its fate instead of remaining victim of its beliefs founded in illusion or error. In short SVP is about Cause or freedom from constraints imposed by the 3D world of materiality or maya and shows how higher and finer forces permeate and direct everything there is thus destroying the false beliefs of atheistic materialism. Sympathetic Vibration is similar as that now being called Quantum Entanglement. Sympathetic Vibratory Physics will take humanity from limited Newtonian materiality to unlimited Cosmic Consciousness and practical application of Causative Scalar Forces. See Science and Mysticism for a great description of how all this works. 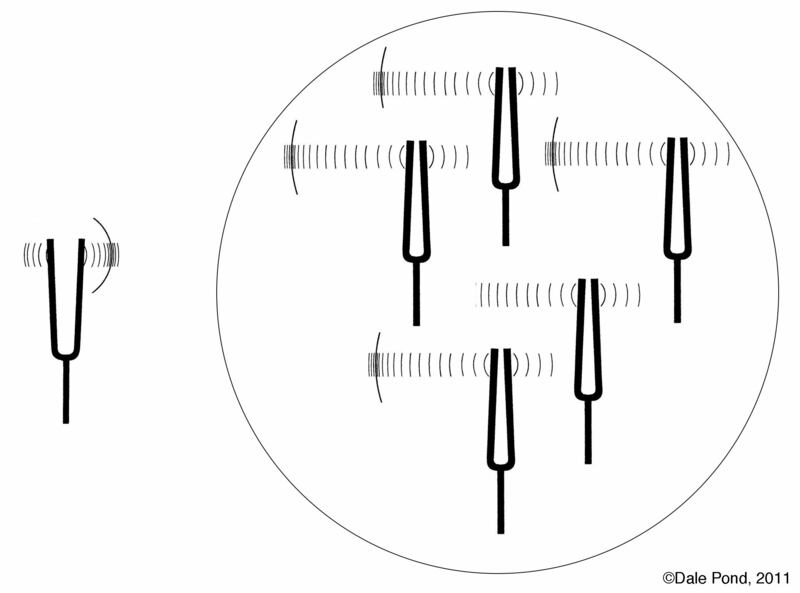 Taking molecules or atoms in a mass (circle) as small tuning forks (symbolically). When one is disturbed they are all equally disturbed because they are all sympathetically entangled on one or more subdivisions (harmonics) of their matter or energy. Resonance: When a mechanical or acoustical system is acted upon by an external periodic driving force whose frequency equals a natural free oscillation frequency of the system, the amplitude of oscillation becomes large and the system is said to be in a state of resonance. There are three types of recognized resonance: Phase Resonance, Amplitude Resonance and Natural Resonance. Harmony: Harmony is the simultaneous vibration of two or more bodies whose harmonics do not produce discords, and whose fundamental pitches are harmonics of the lowest pitch, or are a unison with the resultant notes or overtones, or undertones, of any two or more of them.